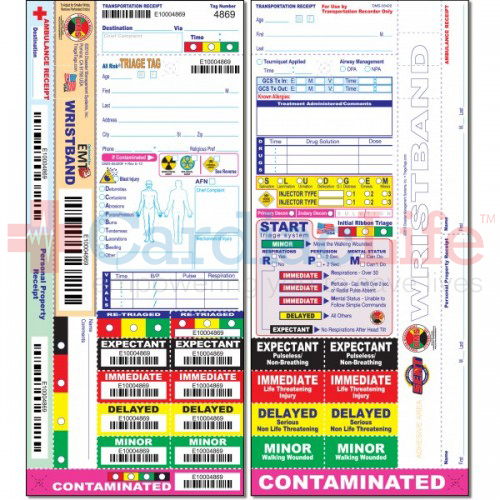 The EMT3 Optimized All Risk® Wristband Triage Tag is specifically engineered as an integral part of the new EMT3 (Enhanced Method of Triage, Treatment, and Transportation) System. NOTE: Florida Version uses the term "EXPECTANT" rather than "MORGUE". 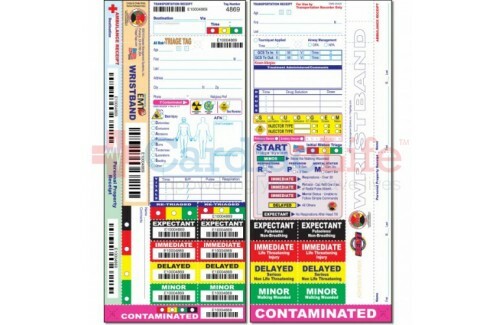 NOTE: Military Version uses the terms "EXPECTANT" rather than "MORGUE" and"MINIMAL" rather than "MINOR". IMPORTANT: For all tags that utilize adhesive strips on wristbands: manufacturer recommends replacing tags every 2 years to ensure adequate adhesion.